I’ve added a new element with my private trumpet students that I wanted to share with everyone. It’s all about LISTENING. So I’m starting a new strategy of compiling a small series of playlists. Each playlist will provide about an hour of music featuring one specific trumpet player, along with a description of features that define that player. The aim is for people to be able to identify a trumpet player just by the sound. One quality of his playing that makes Maurice Andre stand out is his tone. In some recordings there’s an almost reverb quality that used to make me wonder if something was done during editing that makes his tone sound so warm. But then I heard him live once. No editing – his sound is really that pure. He was very proficient on the piccolo trumpet. The majority of his work was in classical music, but one of his more popular albums was a collaboration with jazz pianist and composer, Claude Bolling (a sample of that album is included in the playlist). In addition to his tone, pay attention to his articulation, or the attack of each note. Whether a double or triple tonguing passage or simple notes in time, the closer you listen, the more impressed you’ll be. By the way, I strongly encourage you to try to emulate him in your playing. Maurice Andre passed away in 2012but left behind many recordings. I encourage you to seek out his original recordings (YouTube audio isn’t always the best) and listen with the best speakers/headphones you have. The next playlist I send out will feature another trumpet player. For now, listen closely or as background msuic as often as you like, and try to pick out ways Andre sounds different from another trumpet player. 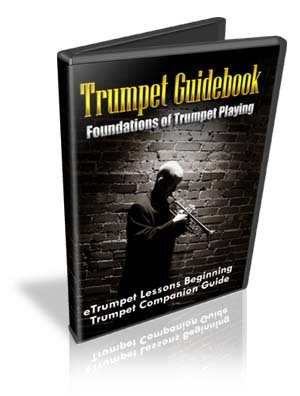 Any player – even Neil Armstrong… And to be sure to receive future playlists and updates you’ll want to subscribe to the eTrumpet Lessons YouTube Channel. Please feel free to comment below on your thoughts of Maurice Andre’s playing. What do you notice about it? How does it affect you? Is there anything about his sound that you’d like to use as an example to improve your own playing? Finally, I mentioned I’m working with my personal students on this listening project. Visit the eTrumpetLessons Live Academy page to learn more about that private study program. ← Wait… Trumpet Music Used To Be Illegal?